Apple has the AR lead on mobile, but Google is slowing building up its arsenal. According to an exclusive report from Variety, Google is all set to bring Augmented Reality (AR) to the mainstream at the upcoming Mobile World Congress (MWC) in Barcelona next week. The report cites sources familiar with the matter who revealed that Google plans to release the ARCore framework to more Android devices which will allow third-party developers to design more ARCore apps. However, it seems like Google has already set things into motion as the ARCore update is now rolling-out to some users. According to a report from Android Police, the ARCore update (v1.0.180129103) has started appearing on the Play Store for some users and an APK of the same has already been made available by the site. With the latest update, Google has extended ARCore support to include all devices running Android 7.0 Nougat and above, unlike the previous version which was limited to Android Oreo devices. We installed the APK on some of our non-Pixel devices without a hitch, however, we were still not able to install any apps that make use of ARCore’s functionalities. The company is expected to extend support for ARCore apps following the official announcement at MWC. While the ARCore update isn’t available for all users, if you wish to try it out on your device you can install the signed APK from APK Mirror. 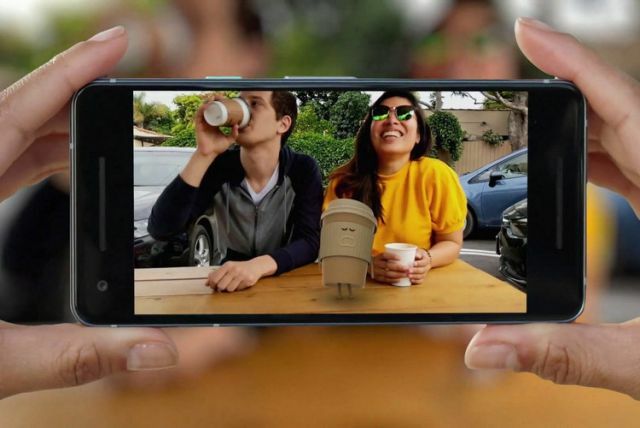 Along with bringing augmented reality to the masses, Google has announced that it will showcase smartphones optimized to run Android Oreo (Go edition), more devices under Android One, new developments in RCS messaging, Google Lens, and the Google Assistant.